La rubrica Instagramer della settimana riparte di slancio con una coversazione in doppia lingua ITA/ENG e quale miglior esordio post-estivo se non due chiacchiere con Alessandro Costa, meglio conosciuto su Instagram come @osnuflaz il cantore delle T-Rex Adventures? Da non perdere! Cominciamo con le presentazioni. Nome, cognome, nick e professione. Alessandro Costa, fresco cinquantenne torinese trapiantato in Emilia che per lavoro si occupa di commercio con l’estero… nick: @osnuflaz. Ma è del tutto inutile parlare di me, umile reporter delle avventure di un volitivo dinosauro 2.0 che gli amici chiamano semplicemente “T”. Da quanto sei su Instagram? Che ne pensi? Come ti trovi? Perché lo usi? Il primo post è del 30 gennaio 2011… e immediatamente” T-Rex Adventures” ha iniziato il suo percorso su Instagram. Un inizio un po’ in sordina bisogna dire… @osnuflaz non conosceva le dinamiche di IG, ma piano piano, post dopo post, i “T-Friends” han cominciato ad aumentare e ad apprezzare il dinosauro! I “LOL” hanno iniziato a fioccare in quantità, assieme ai commenti alle immagini delle molteplici situazioni in cui T-Rex e svariati compagni d’avventura vanno regolarmente a cacciarsi. E @osnuflaz sempre impegnato a rispondere a tutti mentre T-Rex generalmente se la spassa, infastidendo i passanti o dedicandosi alla sua attività preferita… mangiare! Ma è certo che l’affetto dei T-Friends… nei tanti momenti belli e anche in alcune occasioni tristi – penso in special modo al recente terremoto che ha colpito una parte dell’Emilia – è la molla principale che anima le “T-Rex Adventures” e che rende eccezionale ed unica l’esperienza di Instagram. 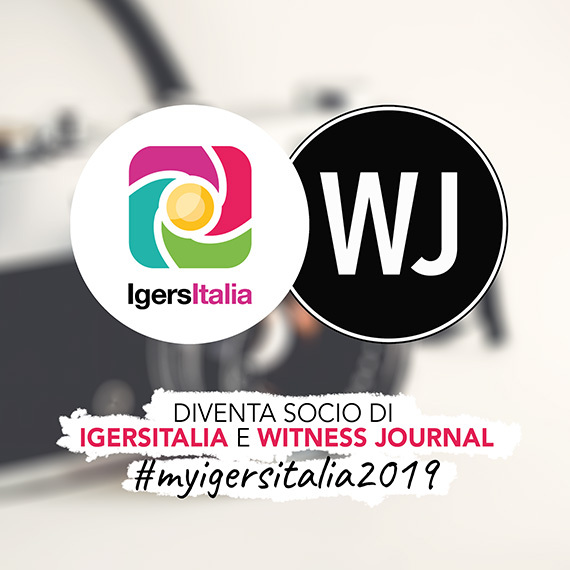 Che ne pensi della community mondiale Instagramers? E di quella italiana (una tra le più attive al mondo)? T-Rex ha cercato di mangiarsi @philgonzalez (Hi T-Friend!) in occasione del primo fantastico Instameet italiano di settembre 2011. 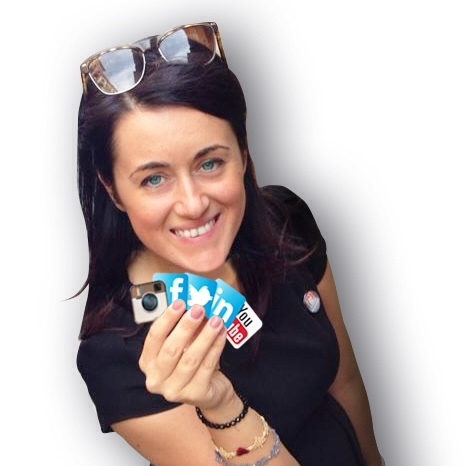 E’ comparso nei feeds di molti esponenti delle communities italiane da Torino a Catania… partecipa a svariati contests organizzati in Italia e all’estero e quando riesce si presenta a incontri tipo “Instazione”, InstaLife etc. Direi perciò che ne pensa tutto il bene possibile e ritiene che specialmente per chi si è avvicinato a Instagram da inizio 2012 , considerando la “dimensione” del fenomeno, le communities possono veramente rappresentare dei punti di riferimento e contribuire a far capire il funzionamento e le opportunità di IG. T-PS: la community italiana poi: simply the T-Best! Prima di approdare a Instagram avevi già passione per la fotografia? O semplicemente Instagram ti è piaciuto come strumento fotografico e ti sei iscritto? Insomma ora con instagram cosa è successo? @osnuflaz fotografa da sempre… T-Rex Adventures però è iniziato per caso. Ma Instagram è stato amore a prima vista e l’occasione per vedere immagini fantastiche e venire a contatto con idee e tanta creatività! T-Rex come tutti ama essere seguito ma “segue” anche molto (e non solo per divorare!) e apprezza, commenta… “làika” le foto dei suoi T-Friends e di altri Instagramers, instaurando relazioni in ogni angolo del globo. Inoltre IG ha su di @osnuflaz un effetto dirompente e attualmente gestisce un paio di altri accounts che nulla hanno a che fare con T-Rex (shhhhhhh… mi raccomando non diteglielo!). Scatti usando l’iPhone con Instagram, altra applicazione o macchina fotografica? Usi app per editare le foto? nessun edit all’immagine, nessun trucco, niente Photoshop o altro… quindi T-Rex è sempre ritratto direttamente nell’immagine e mai aggiunto successivamente. 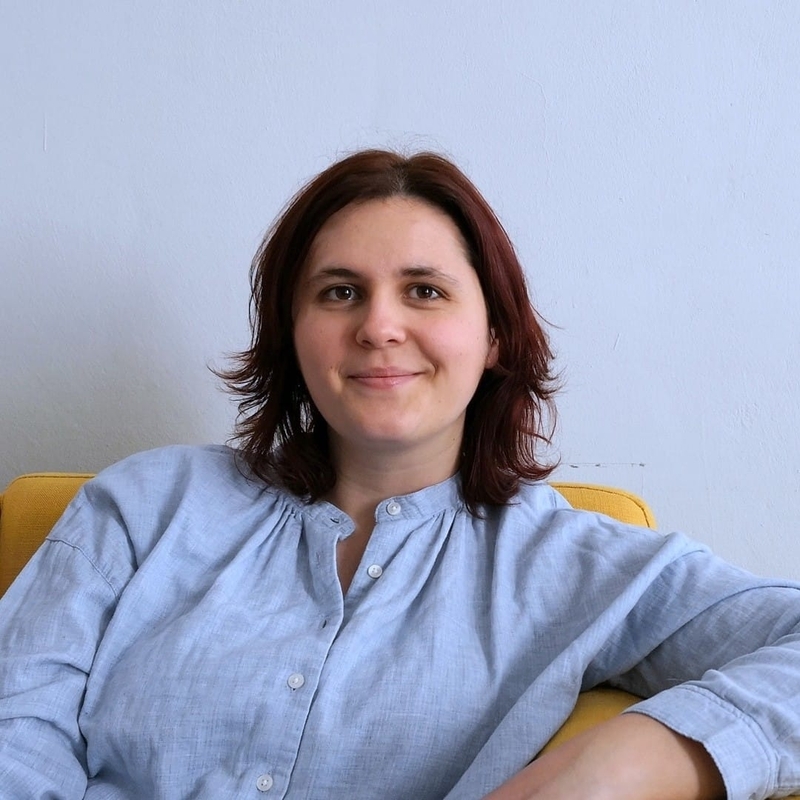 Semplici regole alle quali ci siamo sempre attenuti, anche se han reso più di uno scatto abbastanza complesso e che, naturalmente non consentono di effettuare alcune foto ma, tant’è… andateci voi a discutere le regole con T-Rex! Cosa intendi e come interpreti Instagram oggi? Secondo te che piega prenderà? Anche in seguito all’acquisizione da parte di FB? Instagram ha iniziato a cambiare ben prima dell’acquisizione da parte di FB… senza parlare della Popular Page, che a suo tempo T-Rex frequentava con discreta assiduità, ormai è diventato molto difficile farsi notare, così com’è difficile notare nuovi “talenti” ed apprezzarne il lavoro. Segnalaci 3 utenti che tu stesso segui e stimi come iphonograper, che NON possiamo perdere! Compito arduo davvero… i T-Friends sono numerosi e ricchi di talento… e allora citerò tre amici “storici” del dinosauro , tra i primi ad instaurare una relazione diretta con il “Dino” che continua tutt’ora con reciproco piacere… @misskary @widolvan @myramizuffin e @sholtzee (oops, sono 4): T-Thanx T-Friends! Gli aneddoti sarebbero molti… incontrare un Tirannosauro sul proprio cammino provoca nelle persone reazioni imprevedibili… posso dire però che il passaggio ai controlli di sicurezza in aeroporto (e T-Rex ha viaggiato spesso in aereo!) è sempre divertente e causa di stupore nel personale addetto che lo deve “frugare”. Progetti molti… dopo la #photooftheday di giugno 2011, il successo del 2012 T–Calendar, le opportunità non mancheranno e come potete vedere grandi cose sono successe a “T-Rex” in occasione dei giochi olimpici! Un saluto da @osnuflaz and Love fm T-Rex! Raaawwwwwwwrrrrrrrr! Let’s start with the introductions. Name, surname, nick and profession. Costa Alessandro, fresh fifty y.o. Turin transplanted in Emilia who business deals with foreign trade … nick: @osnuflaz. But it is pointless to talk about myself, humble reporter of the adventures of a dinosaur 2.0 headstrong that friends just call it “T”. How long you been on Instagram? What do you think? How are you? Why use it? 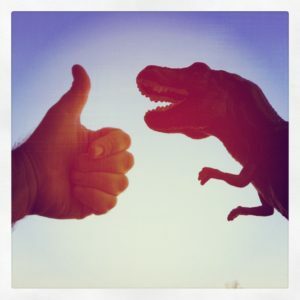 The first post is January 30, 2011 and immediately … “T-Rex Adventures” began its journey on Instagram. A start a little ‘on the sly … @ osnuflaz must say he did not know the dynamics of IG, but slowly, post after post, the “T-Friends” have begun to increase and to appreciate the dinosaur! The “LOL” have started flocking in quantity, with comments to the images of the many situations in which T-Rex and several fellow adventurers go regularly to hunt. And poor @osnuflaz always committed to answering all while T-Rex though generally having a good time, or harassing passers devoted to his favorite activity … eating! But it is certain that the affection of the T-Friends … in many good times and even occasionally sad – I think especially with the recent earthquake that struck a part of Emilia – is the mainspring that drives the “T-Rex Adventures “and that makes it unique and exciting experience Instagram. T-Rex has been trying to eat @ philgonzalez (Hi T-Friend!) At the first Italian Instameet of September 2011. 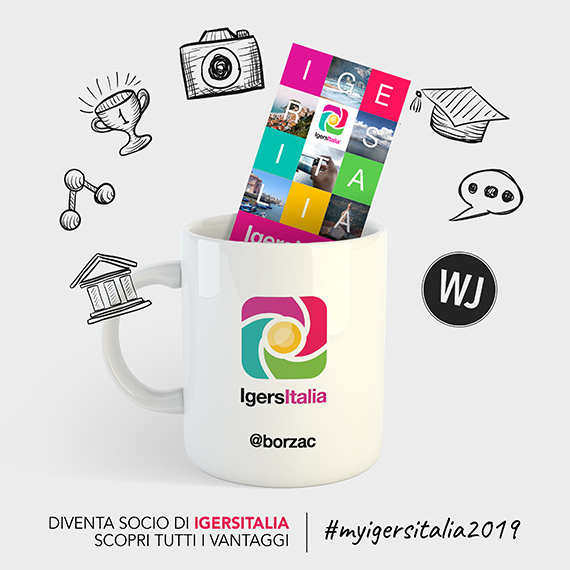 It ‘appeared in the feeds of many in communities of Italian from Turin to Catania … participated in various contests organized in Italy and abroad, and when it comes to meetings can type “Instazione”, etc. InstaLife. So I would say what he thinks about all the good and believes that, especially for those who approached Instagram by early 2012, considering the “size” of the phenomenon, communities may actually represent points of reference and help to understand the operation and opportunity to IG. T-PS. The Italian community then: T-simply the Best! Prior to joining Instagram you already had a passion for photography? Or simply Instagram you liked as a photographic tool, and you signed? So now with instagram what happened? @osnuflaz photographer always … T-Rex Adventures but it started by accident. Instagram But it was love at first sight and the opportunity to see fantastic images and come into contact with ideas and lots of creativity! T-Rex as everyone likes to be followed but he “follows” very well (and not just to eat!) And appreciates says … “Like” to photos of his T-Friends and other Instagramers, establishing links to every corner of the globe. IG also has an effect on @osnuflaz disruptive and currently manages a couple of other accounts that have nothing to do with T-Rex (shhhhhhh recommend … do not tell him!). Do you shot using the iPhone with Instagram, other application or camera? Use app for editing photos? edit any image, no makeup, no Photoshop or another … so T-Rex is always depicted in the image directly and never added later. Simple rules to which we have always abided even if made more than a snap rather complex and, of course not possible to make some photos but, so much … you go there to discuss the rules with T-Rex! What do you mean, and how you interpret Instagram today? Do you think it will turn? Even after the acquisition by FB? Instagram has begun to change well before the acquisition by FB … not to mention the Popular Page, who once attended T-Rex with a fair attendance, now has become very difficult to get noticed, as it is difficult to see new “talents “and to appreciate their work. Tell us 3 users that you follow the same esteem as iphonograper and that we can NOT miss! Daunting task indeed … the T-Friends are numerous and talented … and then I will mention three friends “historians” of the dinosaur, among the first to establish a direct relationship with the “Dino” that continues today with mutual pleasure … @ misskary @widolvan @myramizuffin and @sholtzee: (oops, they’re 4) T-Friends T-Thanx! Anecdotes would meet a lot of … Rex’s path leads to unpredictable reactions in people … I can say though that the transition to security checks at the airport (and T-Rex has often traveled by plane!) Is always fun and a cause of amazement to staff officer who has to “dig”. Projects there will be many opportunities after one year ago being awarded #photooftheday , success of 2012 T-Calendar and as you can see great things came from “T-Rex” at the Olympic Games! A greeting from fm @osnuflaz and Love T-Rex! Rwwwwwwwaaaaaarrrrrrrr! 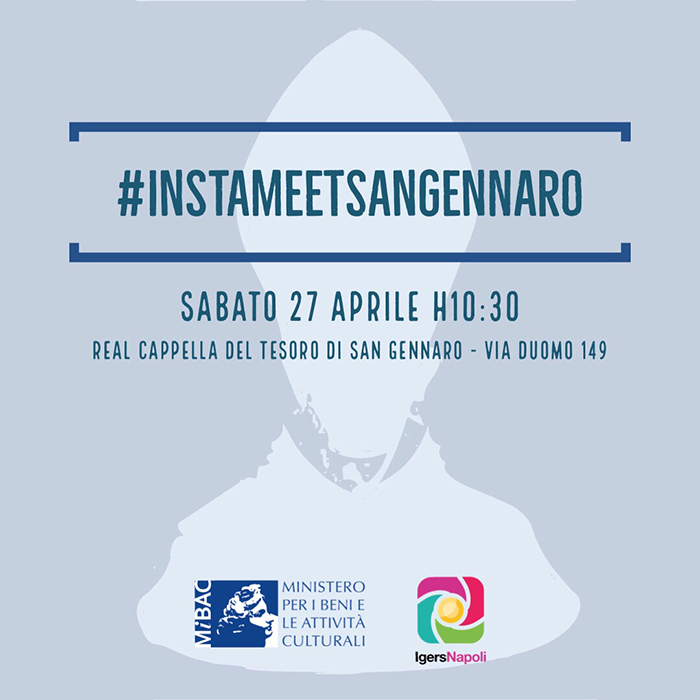 SuccessivoRacconta il Tor Des Geants su Instagram con Instagramers Italia! T-Thanx so much @giariv ! T-Rex si augura di incontrarti prima o poi… e non è una minaccia haha!!! I like T-rex…make me laugh on every pics….keep up the good job. Always Great and funny experience with T-Rex joumeys/diary!